We live in a time when art is appreciated in all of it's forms. Creativity is valued as it can make even boring things look amazing! Food presentation is a big part of this trend. Preparing food is no longer only about flavor, it's also about presentation. 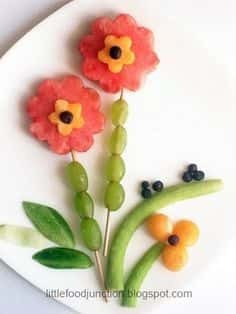 Here are some amazing ideas for flower shaped food you can use to add some flair to any plate. 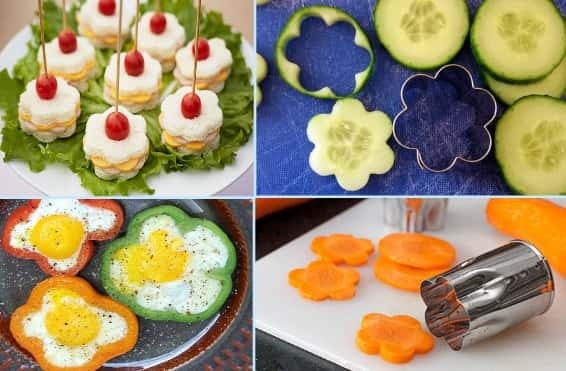 Vegatables and soft foods such as sandwiches are very easy to shape using cookie cutters or vegetable cutters that are flower shaped. 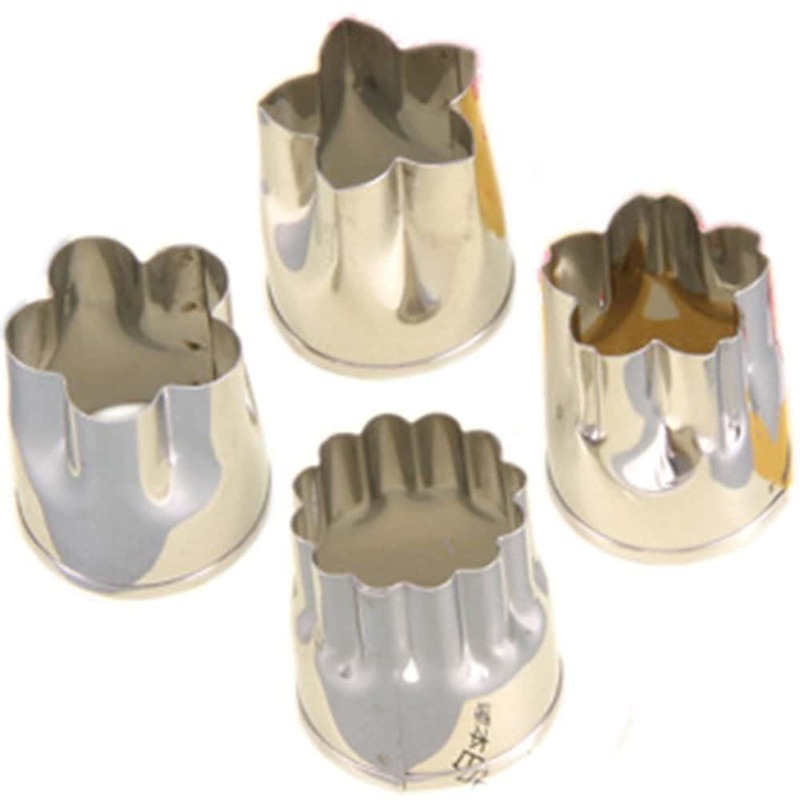 Below you will see a set of Stainless Steel Vegetable Cutters by M.V. Trading Co. This set is inexpensive at only $5.99 and is available at amazon.com. Vegetables as well as fruit are great mediums to work with and present well when you are in charge of feeding children. Presenting a plate of fruit or vegetables to a fussy child that looks great can really have a lot of appeal. Cookie cutters can often be used to shape soft fruits or sandwiches. 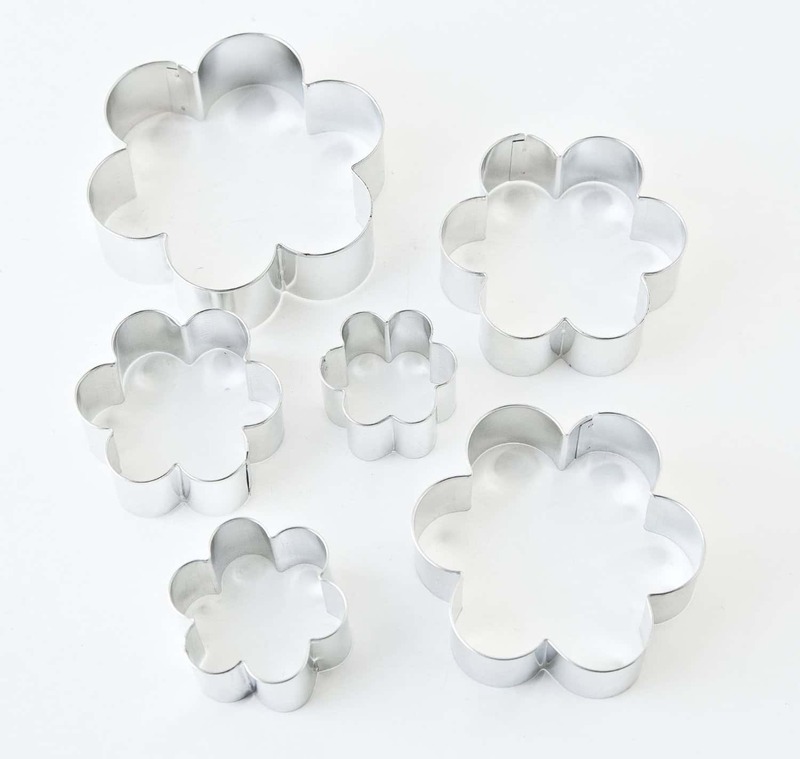 The Fox Run 6-Piece Flower Cookie Cutter Set below is a great choice for this. All of the different sizes allow you to layer in a way that is very effective. You could stack them all on top of each other and build a flower tower! 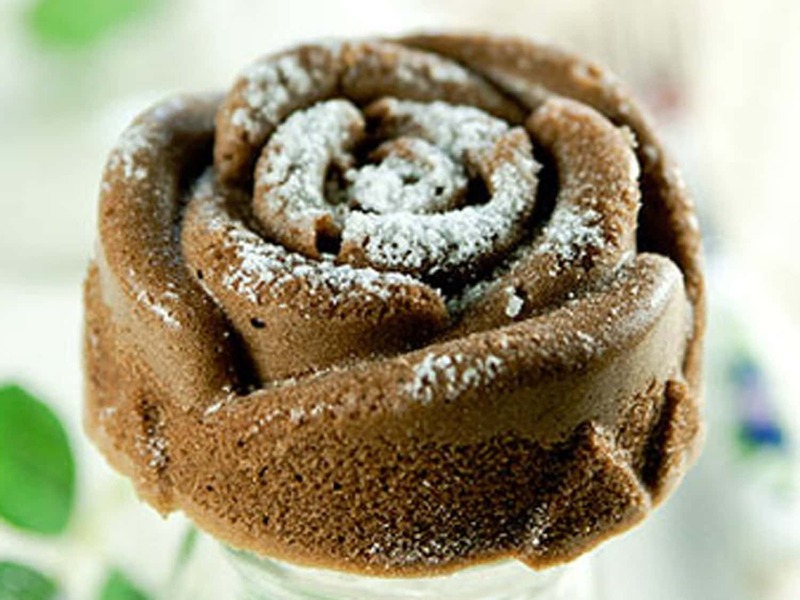 For a special occassion you can create rose shapes snacks such as the rose shaped cupcake below. A great idea for Valentines Day or for a wedding. This beautiful cupcake has been created using the Freshware CB-205RD 6-Cavity Rose Shape Silicone Mold shown below. The mold can be used for other foods such as jello or for craft such as soapmaking as well.